The DIN Pulser Module presents several options relating to both Sensor technologies and cabling connections. 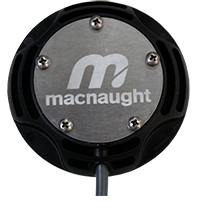 Easy fit by incorporating the Macnaught M-LOCK (1/4 Turn) mounting system, the DIN Pulser Module also offers a ‘Secure Locking’ facility to protect against unauthorised removal. M12 (A coded male) DIN connection. 5 position. *Please note: Cabling and Socket connections are ordered separately. 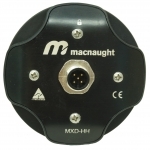 The Industrial Pulse Cap is designed for those customers who wish to route the signal cables via a cable gland, or through an armoured conduit. 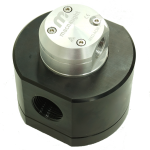 Rated IP67 and manufactured from billet, the new pulser cap is available with the option of either a 1/2″ NPT or M20x1.5 cable gland entry port.